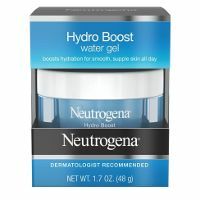 Use NEUTROGENA® Hydro Boost Water Gel to instantly quench dry skin and boost's skin's hydration level. This oil-free formula quenches dry skin to keep it looking smooth, supple, and hydrated day after day. The unique water gel formula absorbs quickly like a gel, but has the long-lasting, intense moisturizing power of a cream.